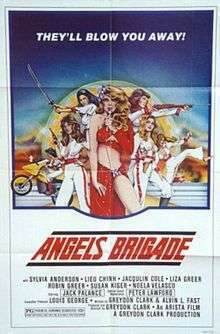 The movie was not well received by the critics or the general public, being seen as a cheap knockoff of the Charlie's Angels television series. The plot was seen as contrived. It also had a number of "has-been" actors, primarily Lawford and Palance, whose popularity had fallen since the 1960s. Because of the poor response to the film, it faded into obscurity until March 11, 1995, when it was featured in an episode of the Mystery Science Theater 3000 television series. The movie was edited somewhat for MST3K; for example, the character of Miller (Neville Brand) is listed in the opening credits, but is only mentioned towards the end of the MSTed version, never actually appearing on screen.